The gut; a system that stems from our mouth and esophagus all the way to the places that we expel waste from our bodies. It is essential to maintain but is often overlooked as a whole. With the vast differences in the types and styles of food we eat on a day-to-day basis, it makes sense that our bodies can have a difficult time digesting everything we take in. This often leads to complications in the gut, such as acid reflux, stomach pain, irritable bowel syndrome, ulcerative colitis and cancer. Diet and exercise help avoid many of these painful complications, but now there is a way to strengthen resistance even more. – It has even been proven to be generally well tolerated by people with lactose intolerance, because its lactic acids break down lactose sugars, and work with enzymes to convert them back into lactic acid, which can be broken down easily by people with the allergy. 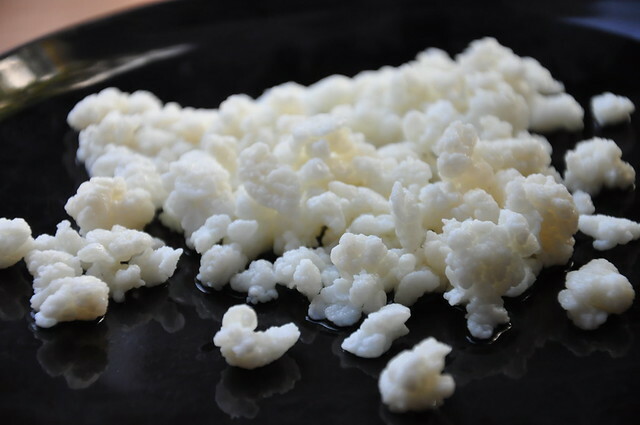 – Good gut health is not always a simple fix, but kefir is an excellent way to get started. Known as “good gut flora,” it gives the body essential vitamins and allows for improved digestive health. – Kefir should be readily available in most major grocery stores. The slightly tangy flavor is not for everyone, but by adding healthy sweets—like fruit or honey—you can make it a treat that beats added sugars and artificial flavors. Although kefir may relieve symptoms, it is always important to consult with a gastroenterologist if complications persist. Yes, you are right! Including Kefir in balanced diet can improve gut health.